Cardi B has come a long, LONG way since dropping her debut album last spring — so if the woman’s a little late to a scheduled speaking gig, so be it … folks will wait for her. 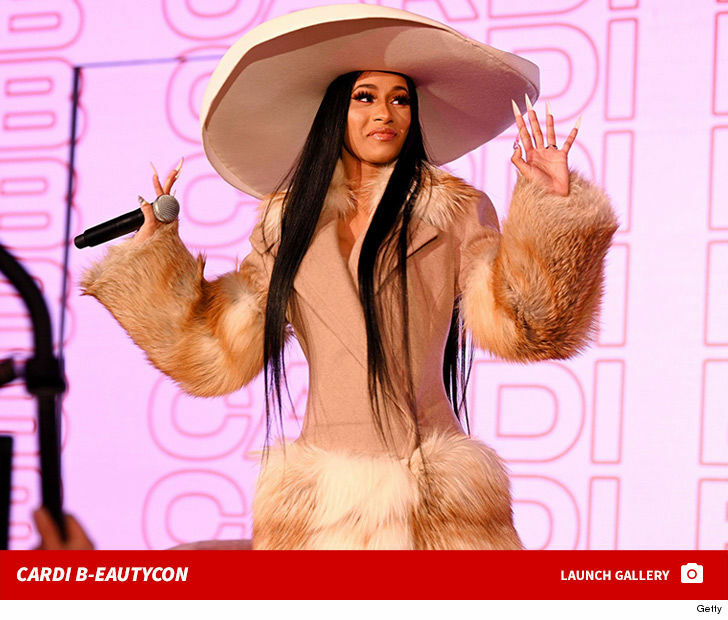 The “Money” MC showed up a few hours behind schedule Sunday to the Beautycon Festival in NYC, where she was set to speak on a panel about “money moves” and the keys to success in the beauty world. Apparently, Cardi had people waiting for a good 3 to 4 hours. She eventually showed though, and looked great as usual — wearing a fur and wide-brimmed hat with matching heels. CB talked about success … and she’s had a lot of it lately. Saturday actually marked the 1-year anniversary of her Grammy-winning album, “Invasion of Privacy,” which she celebrated with a mega gig in Vegas … performing at the new Kaos Nightclub at Palms Hotel … alongside the likes of J Balvin and G-Eazy. Considering Cardi’s set probably ran late … we’re guessing the panel peeps were willing to cut her some slack for the late appearance the very next day.